After the studies in sociology at the University of Social Sciences and Humanities in Hanoi, Maika started to use the camera, and then Lomo’s family cameras, to take pictures of her daily and private life since 2008.
and online such as in USA, UK, Germany, Italy, Romania, Spain, China, India and Brazil. 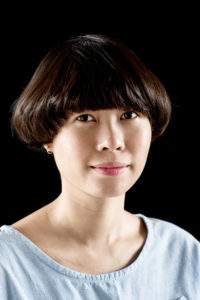 Maika Elan was double-awarded for the “best photo essay” and the “best singl photo” in 2010 at Indochina Media Memorial Foundation and in 2012 The Pink Choice was finalist at Asian Women Photographers. Her first solo exhibition has been hosted at Goethe Institut in Hanoi in 2012. The Pink Choice won 1st prize stories, Contemporary Issues, at World Press Photo 2013 and 1st prize documentary story at Pride Photo Award 2013. Maika also participated in the 2013 Joop Swart Masterclass in Amsterdam, Holand and selected for the VII Mentor program from 2014-2016. Maika’s name is also honored in the Forbes Vietnam 30under30 list in 2014. In 2017, Maika is one of the six selected talents of the first 6×6 Global Talent Program in Southeast Asia & Oceania – an initiative organized by The World Press Photo Foundation. Franck Finance-Madureira is a french movie journalist based in Paris. 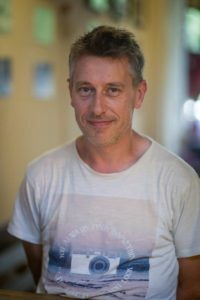 He’s the co-editor-in-chief of FrenchMania, a website (and soon a magazine) dedicated to cinema and tv series through the lens of francophony. He is a member of French Syndicate of Cinema Critics. From 2015 to 2017, he was the editor in chief of Clap! a magazine about movies and tv series and worked for several french media (Canal+, Grazia, Têtu, Yagg, Sensitif, …). 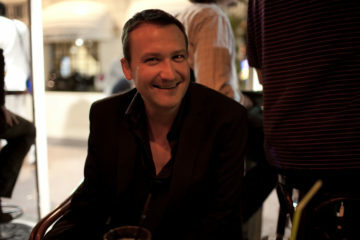 In 2010, he created the Queer Palm, the LGBTQI award of Cannes Film Festival which baseline is “Open minded award since 2010”. Franck is also a casting director. Carlo creates images that, according to him, are inspired by real events in his life and his daily environment, and also deals with a diverse photography, from landscapes, travel, street, documentary and conceptual. 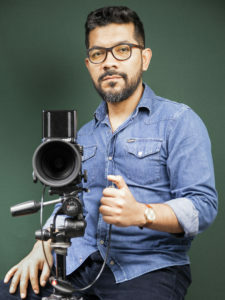 His work has won several awards including the National Sony World Photography Awards in 2015 and 2017. 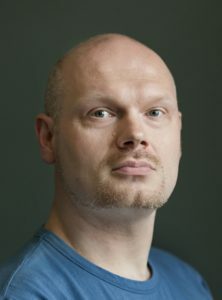 Joeri Kempen is the driving force behind Pride Photo Award, the first global, annual photo contest for sexual and gender diversity. Before that he worked as a civil servant and project manager for arts and culture (among others) for a disctrict in Amsterdam, the Netherlands. Finally, he initiated and organized a symposium on Queering the Collections of museums and archives in The Netherlands. Originally from Scotland, but having now lived in Bosnia and Herzegovina for 24 years, I am a visual artist and photographer, with my work having been exhibited at 11 solo exhibitions and numerous collective exhibitions. One of my photo series, “15 Years”, is on permanent exhibition, while another, “Shelter”, is exhibited annually, at the Historical Museum of Bosnia and Herzegovina in Sarajevo. Both of these form part of the Historical Museum’s permanent collection. My work has most recently been exhibited in Milan and Venice, while my documentary photography has been featured in numerous international and domestic publications. In 2015, I was named a recipient of Sarajevo’s prestigious 6th of April Award for over two decades of “outstanding commitment to positively projecting the image and reputation of Sarajevo within Bosnia and Herzegovina and throughout the world”. Viviana Carlet is the creator and Director of Lago Film Fest in Revine Lago – international independent cinema festival founded in 2005, and of Formentera Film since 2011. She coordinates and collaborates on several projects: Artificial Reserve – Venice Biennale of Art (2003); History Unwired – MIT of Boston and IUAV of Venice (2004); NISI MASA, European network of young cinema present in 32 countries (she has been Administrative Manager from 2012 to 2014). Between 2014 and 2017 she has worked as a Research Fellow at the Department of Management at Ca ‘Foscari University on projects promoting synergies between Art & Business. Veronica Gomez is an expert on international law and human rights protection in Latin America with extensive experience in international litigation and advice involving governmental agencies, inter-governmental and non-governmental organizations. 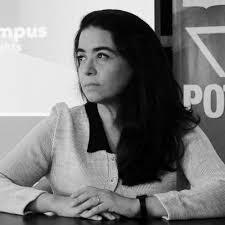 Currently she is Director for Education of the Latin American Programme on Human Rights and Democratization (LAT.MA) at the University of San Martin in Argentina and is the Global Campus of Human Rights’ Chairperson.